China struck a conciliatory note in talks with the United States on Monday by vowing to spur domestic demand and keeping a guarded opening to exchange rate reform, which the Obama administration says is needed to rebalance the global economy. The United States treaded softly on the subject and welcomed Beijing's long-standing pledge to reform the yuan as the two sides opened their second Strategic and Economic Dialogue. 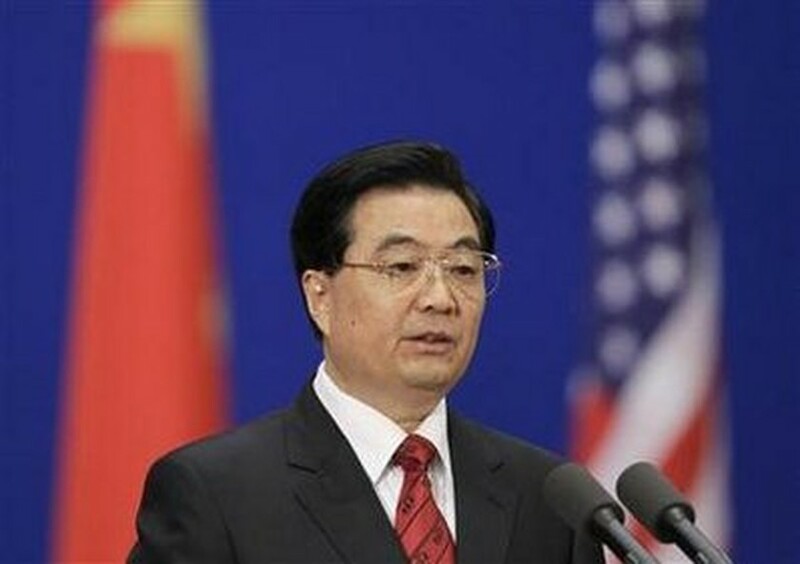 China's President Hu Jintao delivers a speech during the opening ceremony of the China-U.S. Strategic and Economic Dialogue in Beijing May 24, 2010. 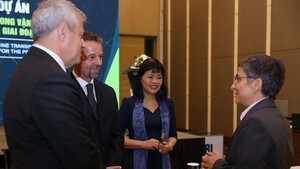 While Chinese President Hu Jintao broke no new ground on the yuan dispute, he set an amicable tone for the two days of talks during which the world's biggest and third-biggest economies will seek to steady their relations. "China will continue to steadily advance reform of the renminbi exchange rate formation mechanism following the principles of being independent, controllable and gradual," he said. The renminbi is another name for the yuan. Hu said his government wanted to expand domestic demand to create more balanced growth, something that Washington -- worried about its yawning trade deficit with China -- has also advocated. President Barack Obama, in statement released later in Washington, said the two nations could collaborate. "Together, we can promote economic growth that is balanced and sustained and trade that is free and fair," Obama said, in a coded reference to his desire for more yuan flexibility. "We welcome the fact that China's leaders have recognized that reform of the exchange rate is an important part of their broader reform agenda," he said. Trying to press the case that appreciation would be in China's own interest, Geithner said that a more market-driven exchange rate would help suppress inflation while also driving private firms to move up the value chain. China said that it was working to resolve the concerns of foreign companies about an "indigenous innovation" program that the United States has said was unduly restrictive and a concern on par with the yuan. The talks also touched on Europe's debt woes, with both sides saying that they were cautiously optimistic that any fallout would be limited. "The general view was that the pace of the global economic recovery will be basically maintained," People's Bank of China Governor Zhou Xiaochuan told a news conference. The one slight point of open discord were U.S. calls for a tougher line against North Korea over an alleged sinking of a South Korean warship, contrasting with China's appeals for restraint. Tensions flared between Beijing and Washington in the first months of 2010, when China denounced U.S. criticism of its Internet censorship, Washington's arms sales to Taiwan, and President Barack Obama's meeting with the Dalai Lama, Tibet's exiled leader. Beijing considers Taiwan a part of its territory, and Hu said on Monday that it was important for countries to respect one another's sovereignty. Obama said the strategic summit was an opportunity to pursue other goals beyond the economy and singled out national climate change commitments made last year in Copenhagen. Climate activists say China was among countries taking part in the Copenhagen meeting who had sought and won less stringent greenhouse gas emission targets than experts had proposed. Obama also touched lightly on human rights, where Beijing's record has drawn persistent criticism, noting: "We welcome our human rights dialogue with China, which we began this month and which I look forward to continuing." Beijing officials have said they want only "quiet discussion" of U.S. complaints that the Chinese currency is held too low in value, giving Chinese manufacturers an unfair advantage.